Sleek, colourful Maruti 800 was a rock star in India among Ambassadors and Premier Padminis. A white Maruti 800 donning the number plate ‘6479’ was decorated with flowers and garlands. It was ready to be handed over to its owner Harpal Singh. Singh, a resident of south Delhi, was the first Indian to own the car, which he had won in a lucky draw. 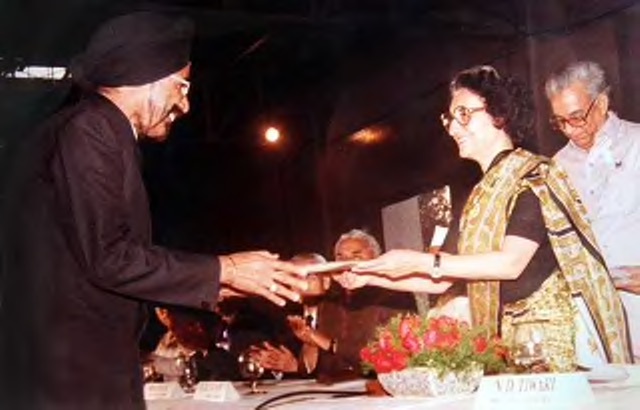 The car key was handed over to him by none other than former Prime Minister Indira Gandhi at a glittering function. Harpal Singh and his wife Gulshanbeer Kaur attained instant celebrity status. The rest, as they say, is history. 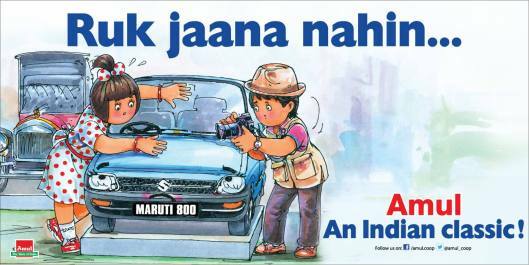 Maruti 800 told the story of a changing India – of aspirations, middle-class rise, small nuclear families, women’s mobility, breaking of entrenched monopolies and of course, the clogging of Indian roads. The iconic car rolled out just a few years before the liberalisation of the economy and the production of the vehicle kicked off the Make in India programme. India’s Maruti Udyog Ltd and Suzuki of Japan entered into a joint venture agreement in 1982 to start the production of the vehicle. Brand expert Harish Bijoor calls it the “first small big car” of the country. “Although it was a small car, it was actually a big car, it took the market by storm and everything just went right for the brand. It was a packaging of functionality, pride, aspiration and it worked like magic,” Bijoor said. Maruti 800 was a rock star at a time when the other available options were the big, chunky Ambassador or Fiat’s Premier Padmini. The car — priced just below Rs 50,000 — boasted of a sleek design, the option of an air conditioner and vibrant colours, something Indians were completely unfamiliar with. Here was a car that was nimble, quick and young in its feel. And Indians loved to flaunt their red Marutis. “Maruti 800 was about pride and for the discerning Indian, it did not make the mistake Nano did with its pricing,” noted a marketing analyst. The Maruti company was also linked to the Gandhi family. In 1971, a company called Maruti Limited had been incorporated for the production of a small car under the aegis of Sanjay Gandhi. The company failed to produce vehicles and in 1977, it was liquidated under the Janata government. However, it was revived once again a year after Sanjay Gandhi’s death under the Congress government in collaboration with Suzuki. The result was Maruti 800 — a car best suited to Indian conditions. The brand name –Maruti — too worked for the company. “It was Indian and had modern features like floor gears,” the analyst added. A TV commercial showcasing a red Maruti 800 with all its features had the popular catchphrase: Mera Sapna, Meri Maruti. It rang a bell with the upcoming middle class. Strong, simple and direct messages made up Maruti 800’s successful advertising strategy. Lines such as “Count on us, change your life” did the trick. “In fact, one of its commercials where a little Sardar boy is shown playing with a toy Maruti 800 was an instant hit and had a direct connect with the consumers,” pointed out Bijoor. 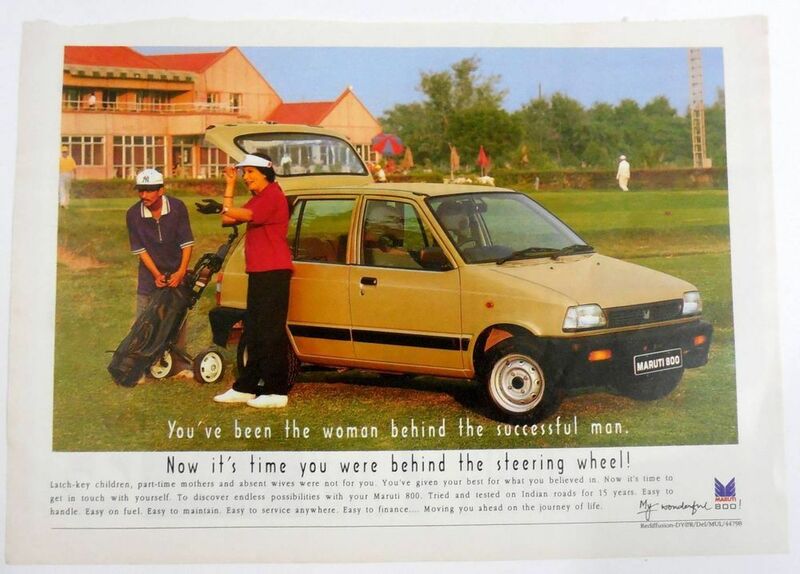 The Maruti 800 was also perceived to be a car that women could drive unlike the Ambassador and Premier Padmini. Many of its advertisements featured young couples, unaccompanied by parents, and the aspirations of two-wheeler owners. There was also an element of snobbery among Maruti owners – between those who had a Maruti car with ‘original Japanese parts’ and others with fully desi versions. Maruti Suzuki chairman R.C. Bhargava recounted how in the initial years, customers had to go through a waiting period for the car and it was a status symbol. “It had upgraded technology and driving comfort, people were not used to that. Maruti 800 offered them something different and with the waiting period, it became a symbol of status,” Bhargava added. The demand was such that as many as 2.87 million cars were produced in India, and of this, 2.66 million were sold within the country. The rest were also exported to other South Asian countries including Nepal and Bangladesh and western European countries like Hungary. Curiously, in 2016, Maruti 800 (or Suzuki Mehran as it is called there) was the most stolen car in Karachi. However, with time and as newer vehicles started flooding the Indian market with unique features, the positioning of Maruti 800 changed. The car that was perceived to be a status symbol became a functional, value for money product. Maruti 800 was the company’s best-selling car until 2004. From 2010, the company gradually started phasing out the car when stricter emission norms were imposed. The company stopped selling the car in 13 cities including Delhi, Kolkata, Chennai and Mumbai, where it was mandated for vehicles to be Euro IV compliant. “Maruti 800 – blue in colour — was my first car. I got my first baby home in that car. Although I sold it off and shifted to bigger cars, it’s etched in my memory…your first car is always special,” said A. Sen, who bought his Maruti 800 in 1998 and works with an American multinational. In the1990s, owning a Maruti 800 was almost a given for anybody joining the workforce. On 18 January 2013, Maruti Suzuki completely stopped production of Maruti 800. 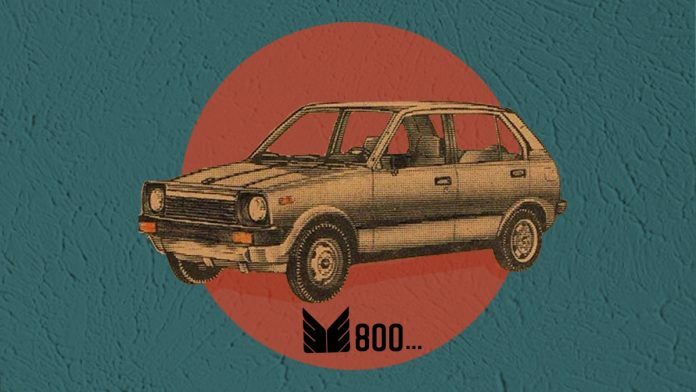 When the last Maruti 800 was sold in 2014 to a Shillong dealer, Indian media gave an affectionate sendoff with words like ‘beloved’ and ‘iconic’ and ran a series of nostalgia pieces. A very early example of what India and Japan, working together, can achieve. Had there been many more such success stories, India getting the projects that went to Chins, Asia would have looked different.